Infinite speed from 0 to 3.4 mph eliminates fatigue on operator. Constant speed ensures more consistent seed placement. 1-1/2" spacing between blades 5 position, single action height adjustment. Covered 60 lb capacity seed box. Single pin attachment design allows for quick removal of hopper to empty out excess seed. 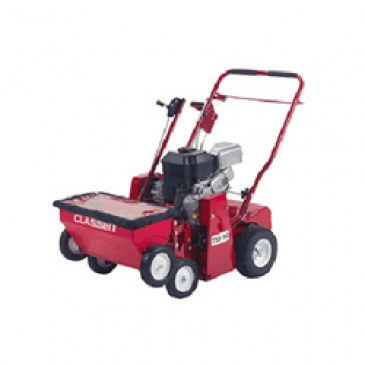 * Please call us for any questions on our seeder lawn slit self propelled rentals in Hagerstown MD, Williamsport MD, Martinsburg WV, Waynesboro PA, Mercersburg PA metro areas.